Twins have intrigued humankind for more than a century. 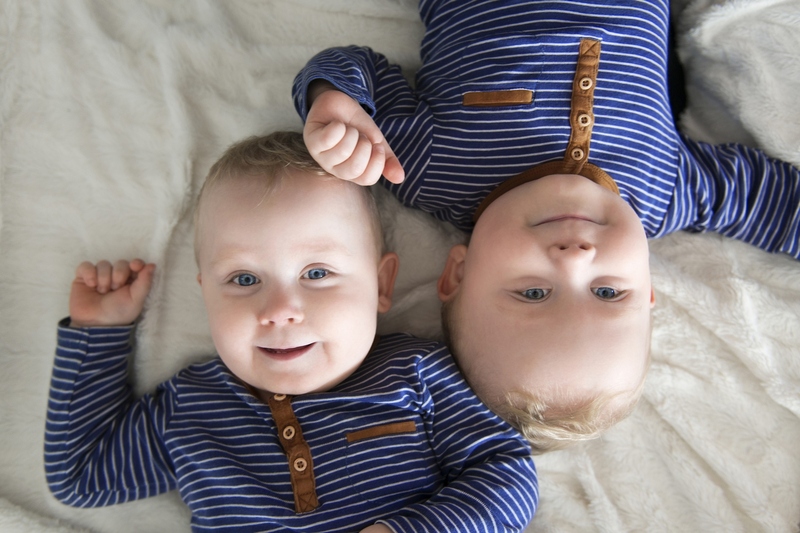 Twins are not as rare as we may think: 1 in 80 live births and hence 1 in 40 newborns is a twin, and the trend is upward. In behavioral genetics, demography and psychology, monozygotic twins are studied to assess the importance of nurture relative to nature. In the social sciences, twin births are also used to denote an unexpected increase in family size which assists causal identification of the impact of fertility on investments in children and on women’s labor supply. A premise of studies that use twin differences or the twin instrument is that twin births are quasi-random and have no direct impact (except through fertility) on the outcome under study. Our recent IZA discussion paper (forthcoming in the Review of Economics and Statistics) presents new population-level evidence that challenges this premise. Using almost 17 million births in 72 countries, we show that the likelihood of a twin birth varies systematically with maternal condition. In particular, our estimates establish that mothers of twins are selectively healthy. We document that this association is meaningfully large, and widespread- that it is evident in richer and poorer countries, and that it holds for sixteen different markers of maternal condition including health stocks and health conditions prior to pregnancy (height, obesity, diabetes, hypertension, asthma, kidney disease, smoking), exposure to unexpected stress in pregnancy, and measures of the availability of medical professionals and prenatal care. We also show that a positive association of the chances of having twins with health-related behaviors in pregnancy (healthy diet, smoking, alcohol, drug consumption), although we do not rely upon this because behaviors in pregnancy may reflect a response to the mother’s knowledge that she is carrying twins. Previous research has documented that twins have different endowments from singletons, for example, twins are more likely to have low birth weight and congenital anomalies. We focus not on differences between twins and singletons but rather on differences between mothers of twins and singletons, which indicate whether occurrence of twin births is quasi-random. It is known that twin births are not strictly random, occurring more frequently among older mothers, at higher parity and in certain races and ethnicities, but as these variables are typically observable, they can be adjusted for. Similarly, it is well-documented that women using artificial reproductive technologies (ART) are more likely to give birth to twins but ART-use is recorded in many birth registries, and so it can be controlled for and a conditional randomness assumption upheld. The reason that our finding is potentially a major challenge is that maternal condition is multi-dimensional and almost impossible to fully measure and adjust for. To take a few examples, fetal health is potentially a function of whether pregnant women skip breakfast, whether they suffer bereavement in pregnancy, or exposure to air pollution. Our underlying hypothesis is that twins are more demanding of maternal resources than singletons and, as a result, conditions that challenge maternal health are more likely to result in miscarriage of twins than of singletons. We discuss the role of alternative mechanisms including non-random conception and maternal survival selection. We provide evidence in favor of the selective miscarriage mechanism using US Vital Statistics data for 14 to 16 million births. Selective miscarriage is similarly the mechanism behind the stylized fact that weaker maternal condition is associated with a lower probability of male birth. We confirm this in our data, showing that twin births are more likely to be female. Our findings add a novel twist to a recent literature documenting that a mother’s health and her environmental exposure to nutritional or other stresses during pregnancy influence birth outcomes, with many studies documenting lower birth weight. If birth weight is the intensive margin, we may think of miscarriage as an extensive margin response, or the limiting case of low birth weight. Our findings have implications for research that has exploited the assumed randomness of twin births. No previous study has attempted to control for maternal health conditions or behaviors. Studies using twins to isolate exogenous variation in fertility will tend to under-estimate the impact of fertility on parental investments in children, and on women’s labor supply if selectively healthy mothers invest more in children post-birth, and are more likely to participate in the labor market. This is pertinent as it could resolve the ambiguity of the available evidence on the impacts of fertility. In particular, recent studies using the twin instrument challenge a long-standing theoretical prior in rejecting the presence of a quantity-quality (QQ) fertility trade-off in developed countries, but our estimates suggest that this rejection could in principle arise from ignoring the positive selection of women into twin birth. Similarly, research using the twin instrument tends to find that additional children have relatively little influence on women’s labor force participation. But, again, these estimates are likely to be downward biased. The results of studies in Economics, Psychology, Education and Biology that instead exploit the genetic similarity of twins will not be biased but will tend to have more restricted external validity than previously assumed.